I first ran across the history of the Octagon House, in Washington D. C., when I was doing research on Dolley Madison. Her and her husband James Madison, the fourth president of the United States, lived there from 1814 till the end of Madison’s second term. The British burnt down the White House during the War of 1812. The Octagon House was one of the few structures in Washington that was spared by the British. Colonel John Tayloe, a Virginia plantation owner, had this three-story home built in 1800 at the encouragement of his good friend George Washington. The house was nicknamed “The Octagon” because it was designed with six sides in order to fit the property it was built upon. 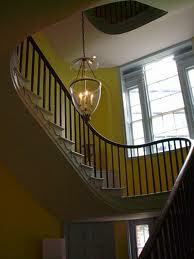 It has a stunning oval central staircase with many odd-shaped rooms. It originally had tunnels in the rear that led to the White House near by. It is said these tunnels were used as part of the Underground Railroad during the Civil War. John Tayloe moved his family, a wife and 15 children from their Virginia home to the Octagon when it was completed. They lived there until 1855, except during and after the War of 1812. During the war Tayloe rented the house to the French ambassador to the United States and then later to the Madisons. The first spirit known to haunt the house was one of John Tayloe’s daughters. This daughter fell in love with a British officer in the early 1800s. John Tayloe objecting to this relationship would not let this officer enter his home. One night Tayloe and his daughter argued bitterly over this matter. Frustrated, this daughter took a candle and stormed upstairs. Tayloe heard a shriek and then saw his daughter tumble over the railing and down the stairwell to her death. It is not known if she tripped and fell or if she took her own life. Her restless spirit soon started to haunt the house. For years at night people have reported seeing a shadow of a flickering candle as it moves slowly up the wall along the staircase. Many report hearing a shriek right after this sight and then the sound of something heavy hitting the bottom of the stairwell. An area rug is seen moving in this exact spot. To John Tayloe’s horror this tragic history repeated itself several years later when his family moved back into the Octagon House after James Madison left office. This same staircase claimed a second member of the family. This daughter had eloped against her father’s will and returned to ask for his forgiveness. They met on the staircase, an angry Tayloe tried to pass by her. She lost her footing and like her ill-fated sister she fell to her death. Her ghost too haunts the scene of this tragedy. After Mrs. Tayloe died in 1855, John Tayloe sold the house. During the following years and ever since Dolley Madison’s ghost has been seen at the Octagon. In my post about her I wrote about some common reported sightings of her at the Octagon here. 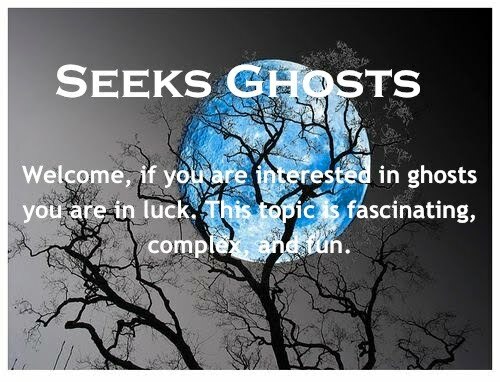 Another “residual” ghost that is seen is that of a gambler who while at the Octagon during the Civil War was accused of cheating and then shot. His ghost is seen over and over at the moment of his death. Other common reports of phenomena include: thumping sounds within the walls, moans, screams, sighs, the clanking of swords, smells of phantom food cooking in the kitchen, the appearance of footprints in otherwise undisturbed dust and the scent of lilacs—this was known to be Dolley’s favorite scent. Several witnesses have reported seeing the apparitions of footmen attending ghostly carriages. One of the most compelling stories is about the sounds of thumping within the walls. This phenomenon was heard for almost 100 years until 1902 when the American Institute of Architects purchased the property. During their renovation they found the skeleton of a young girl behind the wall, her hands were clenched. It was discovered that during the French occupancy of the house, a soldier killed his slave girl lover and hid her body within one of the walls. The thumping sounds stopped when her body was given a proper burial. 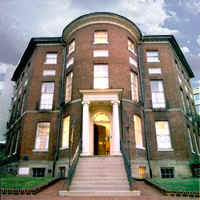 The Octagon House is considered one of Washington D.C.’s most haunted places. Today the American Architectural Foundation preserves it as a museum. Labels: ghosts, haunted, Octagon House, Washington D.C.